This Bristol based group released several singles during the 1960s on various labels including Decca, Columbia and CBS but somehow failed to achieve any success beyond their home areas. Despite this lack of Chart entries they're certainly an outfit that deserves attention and hopefully I'll add more of their discs to my collection in the future. 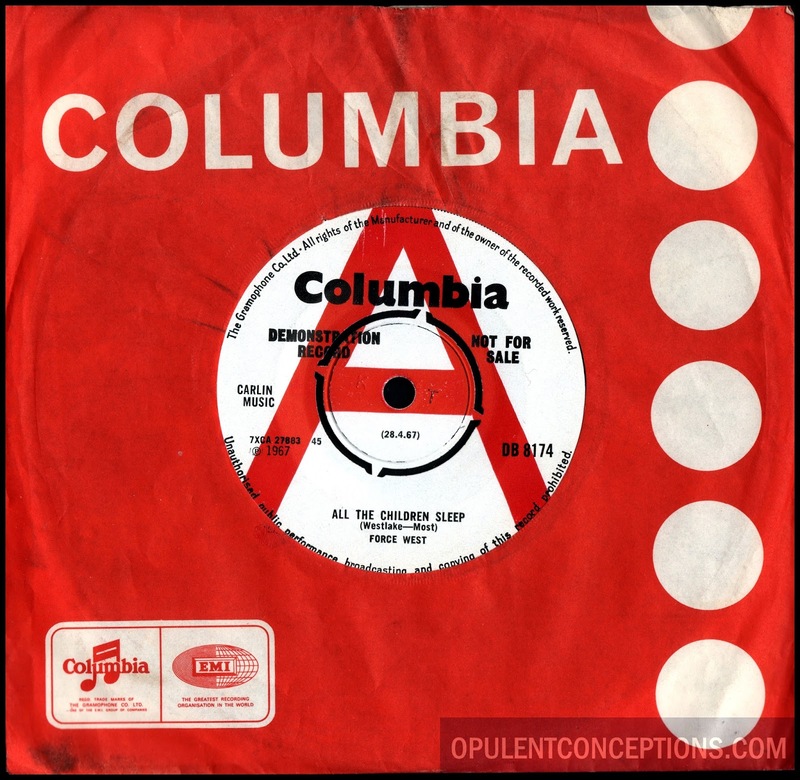 The A-Side "All The Children Play" is a cheeky re-write of Los Brincos 1966 Spanish hit "Mejor." It's worth hearing though but I wonder just what would have happened with regards to infringement laws if it was a hit record for Force West. So I'll move swiftly on to the flip "Desolation" which is a terrific folk jangler with an uptempo beat, great drums, clattering tambourine throughout and harmonies. 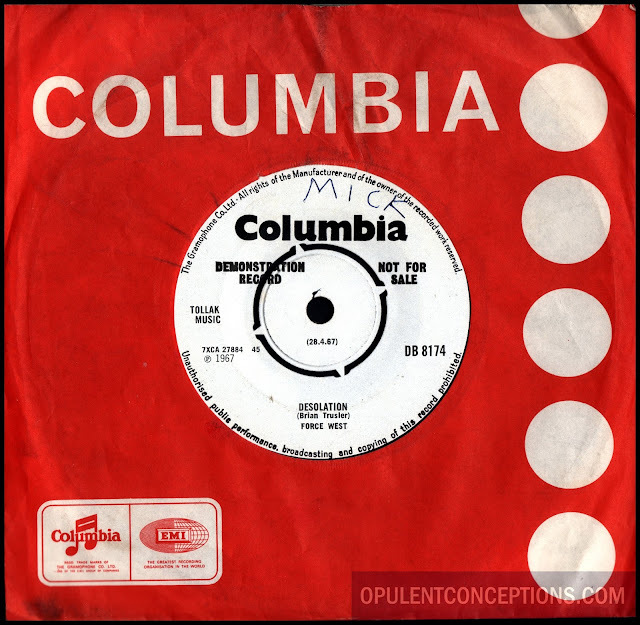 Force West were good enough to merge the best parts of The Searchers with The Hollies to make their marvelous "Desolation". Such a shame it was hidden on the B-Side of a record that probably sold in small quantity.